A trip to Goa can never be complete with enjoying water sports! One of the best hubs for water sports in the country, the beaches and the waterfronts of Goa make it for an international water sports destination. 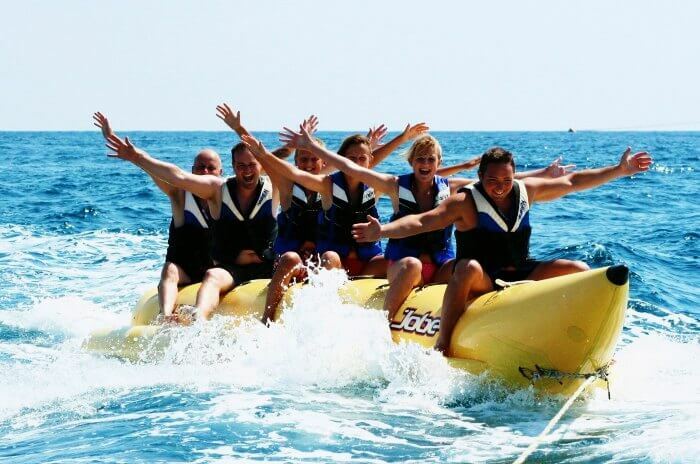 There are many beaches in Goa where water sports activities are availed for vacationers. Among the wide range of sports, water-skiing, windsurfing, ski-biscuit, parasailing, skibob, snorkeling, sports fishing, water-scooter, motorboat rides, yachting, harpoon fishing and kayaking are the most common and popularly enjoyed sports in Goa. Well-known beaches that are involved in providing Water sports are Palolem, Anjuna, Vagator, Calangute, Mober, Baga and Miramar. However, while opting for one of these activities, it is very important to keep in mind about some of the safety measures. Always pay attention to the instructors, dress up accordingly, check with your fitness level and also make sure you are not phobic to water.